Iâm really drawn to how interesting these episodes are!! Great energy! And fun! !Iâm excited to continue listening!! Inspiration at the right time. My son told me about Donâs podcast. Very informative and tons of great information. Iâll definitely be listening to more! Very entertaining podcast. Itâs a must listen! Appreciate your devotion to student education and growth! What a great podcast. Don interviews innovators and forward thinkers, people you need to know more about. My students enjoy listening and learning about open source learning. You need to listen. I wish Don used more inclusive language. His questions arenât as deep as other interviewers and you can find his guests on other programs. While I like that heâs talking about new approaches in education, I donât need to hear about âthe erection he getsâ with some of these new ideas. Itâs a shame he doesnât bring more professionalism. Iâve been listening for a few months and I always end up with something new to think about adding to my teaching practice. Interesting guests with various takes on life and education make this a must listen. As a teacher of 20+ years I find this podcast so refreshing. It gives me hope to hear from our next generation and their creative, innovative ideas! Don is the encouragement educators need to take risks. I mostly love the ideas in this podcast. Itâs encouraging to hear ways other educators are encouraging students to be innovative. I think this is missing a critical perspective. It seems these ideas propose to students that America is a meritocracy. Iâd also like to hear more that is about ways to encourage students to investigate the world they live in like a YPAR project. I truly enjoy listening to this podcast! Every episode gives me something new to think about. Thank you! Love it! Just discovered it today and already hooked. Everything I teach everyday to my students even though Iâm a foreign language teacher. Thanks Don! Don Wettrick and company are advocating that we take education in a new direction. If youâre a mover, shaker, or decision-maker for any level of education, you need to give this podcast a listen. So many great ideas and shifts in thinking that the link between education and innovation/entrepreneurship needs right now. Love that we hear all the different perspectives and topics - a wide variety and great resource to refer back to! This podcast will blow your mind! Don Wettrick is amazing and brings in incredibleguests that will inspire you and challenge your thinking! Highly recommend! Our kiddos need these mindsets. Starts with us. Have a listen!!! Love this podcast and everything Don does! Guests are incredible. Thank you! No podcast invigorates, empowers and motivates me like Don Wettrick's @donwettrick StartEdUp Innovation. This is my first ever ITunes review. This podcast motivated me to share this comment. If you're an educator or innovator (or both), check out the interview with Dave Burgess of Teach Like A Pirate. The story of how it started & how it continues to disrupt (along with discussion of John Wooden & motion offense)! First head about StartEdUp podcast during the 2017 DitchSummit. I canât get enough of this podcast. Listened to the one with J Acuff this morning. Put âFinishâ on my must read list of books. Thanks for such great podcasts. Please keep them coming! I just listened to the Podcast with Dave Burgess and really enjoyed the dialogue around publishing and education. I will definatly listen to more of these Podcasts! Keep up the great work! Just listened to Ep. 128 with Dave Burgess -- big take aways. If we as teachers are doing truly disruptive innovate work with Ss then it is our "moral imperative to share it if it will help others", AND it is our moral imperative "to get good @ sharing and lear what we need to learn in order to share/amplify its impact" A paradigm shift away from Ts being egotistical to be innovators and coaches in quality, relevant, engaging instruction. YES!! Let's become engaged and passionate T's who empower and free students to release, create and share their genius -- pun somewhat intended! (@mshinksclass) Thanks to Don and Dave, looking forward to more disruption in 2018. The Dave Burgess interview brought me here, fantastic piece of work. My biggest take away was about making sure you are part of an online community, sharing, and the reciprocity that comes with this type of engagement. This pod gives me inspiration every time I listen. If you want to push students to be creators rather than consumers, thinkers rather than followers, trailblazers instead of settling...this is the podcast for you! Don does an outstanding job with this podcast. The guests are phenomenal and I love the mix of innovation and education and the impact of innovation on education in each episode. While I'm listening I'll be yelling out, "Yes, yes, why aren't we doing ___!?!" and I always want more at the end of each episode because I have questions for each guest that I want answered. I think that's the sign of anything that's great, when you're left wanting more. When conversations come up about changing school or adding creativity to the classroom, I always mention Startedup. I just finished the episode with Dave Burgess, which os phenomenal, and my favorite quote is, âA story usurps everything.â There is so much power in storytelling. Thatâs why I love podcasts in general and Startedup specifically! By following a tweet trail I came upon this podcast by Don Wettrick. It is just so neat to find someone who is doing creative, exciting work and they can help articulate ideas that provide great food for thought. Especially found the interview with Dave Burgess to be incredible. This episode reminder me how great it is to be an educator. Thanks Don, Hunter and others for this podcast. This is by far my favorite podcast. I love the passion Don brings to his classroom, but also to a stage. Listening to Dave and Don share stories and talk back forth about share your story just keeps pushing me to figure out what is my story. I have a passion for changing school structures and making learning more meaningful just got to figure out how to share that more. Thanks Don and Dave for sharing your thoughts and passions with us all. Phenomenal!!! 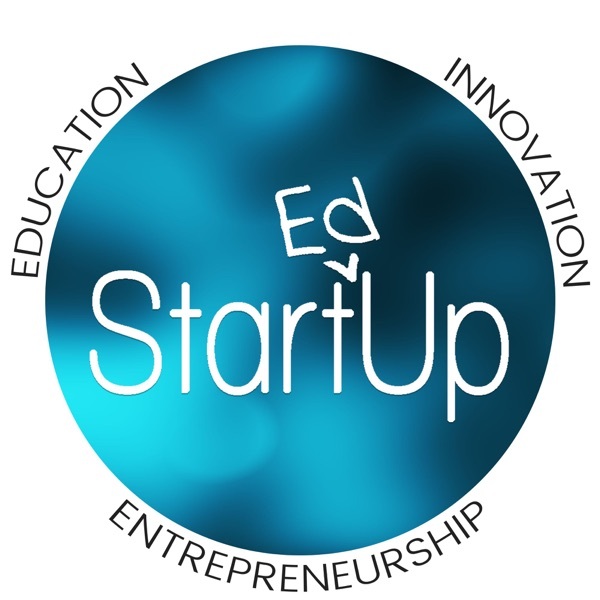 Dave Burgessâ energy and passion for education in the Disrupt Like a Pirate episode on Start Ed Up was exactly what I needed to hear. Thank you for sharing Daveâs message. Don continues to deliver a podcast that is pure genius. His latest interview with disruptor Dave Burgess tells a story of how educators can and should spread their message so we all can get better together for kids. Thank you Don and Dave for this latest episode. Don Wettrick has been told that he has a voice for radio. He does. That's just the beginning of it though. Don has one of the clearest missions out there: connecting the lessons of entrepreneurship to students. His guests and he weave roadmaps that save students years of anguish. This is a great listen for those who value education in the truest sense. Changed me as a teacher! I was introduced to this podast in January of 2017 and it has changed me as a teacher. Listening to this inspires me to make my classroom an enviroment where students can be free to learn and fail but most of all become creative, innovative, and people who may someday change the world. Don Wettrck is changing edcation a little bit at a time. Listen and remember, "There is no THEY!" I have just discovered Don's podcast through a mutual friend! And I am SO thankful for that! I am an educator myself and has been working in higher education for ten years. I resonate so strongly with all the messages that Don shared here. Unless we change ourselves as educators, we are NOT going to influence our students. More educators need to come out and to embrace the professional aspects of their specific fields. Ever since I have ventured into this Entrepreneurial world, not to mention how scary it's, it has substantially expanded my network and deepened my understanding of everything I teach! Pls keep up the amazing work! Respect!!! As an educational leader and fellow podcaster, I have grown to absolutely LOVE the premise of this show. The innovators, leaders, and gamechangers who come on as guests, along with Don himself, are truly inspirational! Becoming a regular listener of the show has opened my mind to the power of innovation and how change has to start somewhere, and it can happen in even the smallest of ways. I had Don as an instructor during his first year at Noblesville and his ideology and perspective literally changed the course of my life. Don is teaching the future of education and the impact is incredible. If youâre not already a listener you best subscribe and sit tight. Great work Keep it up! This is a MUST listen for anyone in education! I've seen problems in our education system for a long time, but Don Wettrick and his guests are exactly the kick in the pants I needed to move from dreaming to actually doing something about it in my own classroom. This podast has led me down the rabbit hole of innovation in education and introduced me to a world of authors and influencers that hadn't otherwise crossed my notice before. Wettrick is a teacher leading by example, and I'm becoming a better teacher because of it. Thank you! I absolutely love this podcast. At least one thing on every episode speaks to what I want to do in my classroom and for my students. Let the education revolution begin! I love JT's honesty, and the fact that his motivation for capturing his story was his family. "I didn't even know where my last name came from;" this hook is so powerful. It feels like I shouldn't be, but I am looking forward to reading his "year of therapy;" we can all use a year of therapy. We all need to remember we get to have a say in how we react to what we have...for good or bad. It is clear that JT McCormick's energy and perspective will truly help anyone who hears/reads his story. A MUST listen for humans! Don Wettrick is open and honest when it comes to education and life in this podcast, which is extremely difficult to do in the educational realm. His authentic voice and those of his guests are uplifting and motivational. KeepItUp. Awesome podcast. Always interesting and thought provoking. Thank you. Each episode I have listened to has been inspirational. I highly recommend this podcast for teachers who are looking to find new directions to take their teaching. Thanks Don and Hunter! Whenever I step into any of Don's podcasts, it's not long before ideas begin to explode in my head! I cannot get through episodes quickly enough as I look forward to the next. The questions are deep, the answers even deeper. This podcast captures the essence of what educators need to know, how educators should think, and what educators should be asking of their students. BRAVO!!! Steve Jobs famously said that creativity thrives amongst diversity. As educators we must learn from a diverse group of experts and resources to hone our craft. This podcast is a must listen for educators. Share this with your colleagues as it gives you access to amazingly talented and successful individuals through the lens of their insights into education. No other podcast like this exists. So listen now! What an inspirational find! To listen to like minded educators is inspiring! I can't wait to work my way through all of these episodes!